Your brand creates a huge amount of equity for your business. 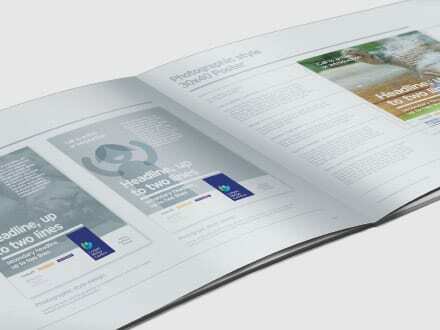 Design savvy customers use your brand elements to recognise your company, and build trust in your brand. Team members also benefit from a styleguide. 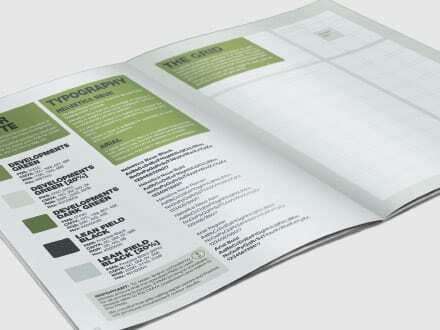 The brand documents make it easy for staff to see all of the elements available. You benefit by reducing time wasted designing something that’s already been done, plus your brand is more consistent. It’s win, win. 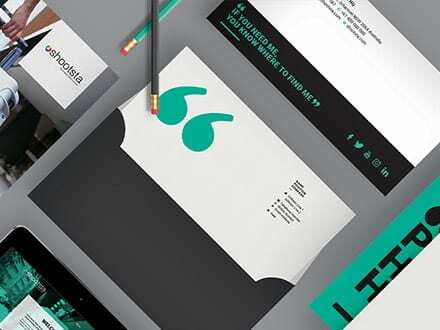 theroom will collaborate with you to create a styleguide that suits your business. A brand is so much more than just your logo. You’ve invested time building your brand from the moment the business was started. 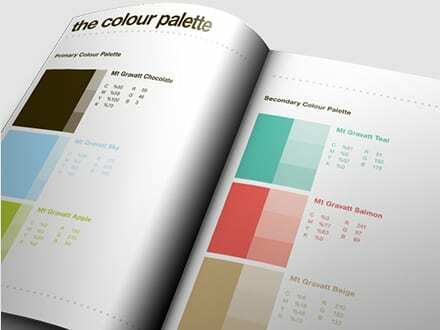 A styleguide captures every detail of your brand - including your logo, colours, iconography, typography, colours, imagery and elements. Having an up to date styleguide means that your internal teams know all of the items that have already been created, so they can stop spending time reinventing the wheel. Styleguides make design, marketing and admin teams more effective than ever. Collaborating with another business is easy with a styleguide. There are so many fantastic third parties to support your business, a styleguide makes it easier than ever to work with them. Whether you’re outsourcing your PPC, creating an app or even sponsoring an event, a styleguide will make sure that your brand is presented in the best way possible. All you need to do is share it. 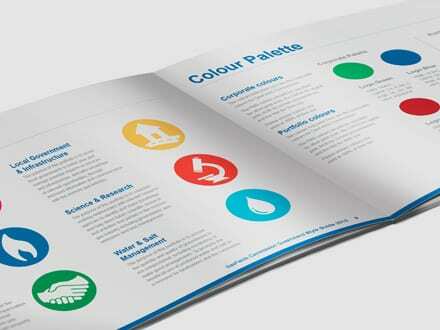 The team at theroom have worked on a number of styleguides for businesses in a number of industries. 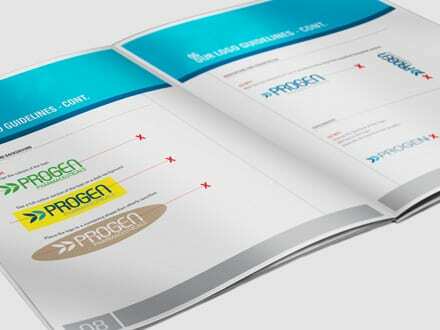 Our work for Progen Pharmecuticals shows how we can create a guide to reinvigorate your brand. 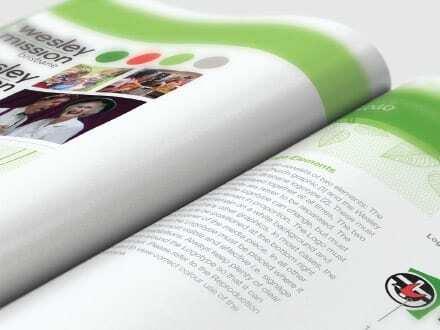 The Wesley Mission styleguide uses bright colours and elements to make the brand approachable. 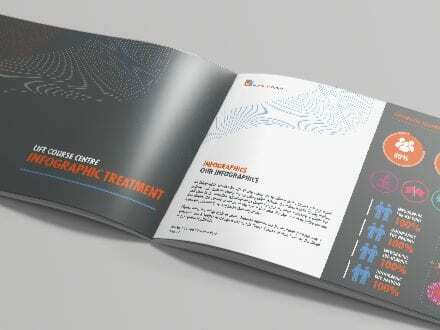 Whatever your industry, our designers in Brisbane will be able to help. You can read more about our process here, or give us a call and we’d be happy to discuss your project in particular. 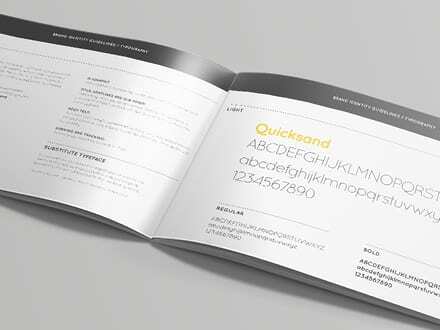 ENSURE YOUR BRANDING IS CONSISTENT WITH AN UPDATED STYLEGUIDE.